From the New York Magazine website. The Harvard Gazette discusses the work of the two Harvard affiliated MacArthur Foundation 2015 fellows, Beth Stevens and Matthew Desmond. Two new post docs, Allie Muthukumar and Lasse Dissing-Olesen, joined us during the spring and summer. Welcome to the lab Allie and Lasse! We’re proud to announce that Beth is a 2015 MacArthur fellow! According to the MacArthur Foundation website, these fellowships are awarded to “talented individuals who have shown extraordinary originality and dedication in their creative pursuits and a marked capacity for self-direction. There are three criteria for selection of Fellows: exceptional creativity, promise for important future advances based on a track record of significant accomplishment, and potential for the fellowship to facilitate subsequent creative work”. Congratulations Beth! See the MacArthur Foundation’s summary of Beth’s work here. Read about the other 2015 fellows here. Our student Bianca Nfonoyim was awarded the 2015 Thomas Temple Hoopes Prize for her undergraduate research on the role of microglia and complement in Alzheimer’s Disease. Congratulations Bianca! Congratulations to our excellent students Cheta Emba, Christopher Gordon, and Bianca Nfonoyim, who just received their bachelor’s degrees from Harvard. Best of luck for the future! Congratulations to Jenelle who passed her qualifying exams with flying colors! The Stevens Lab is excited to announce a new publication by Dori Schafer, Emily Lehrman, Chris Heller, and Beth Stevens. In “An engulfment assay: a protocol to assess interactions between CNS phagocytes and neurons“, published in JoVE, the authors explain how to perform the microglia engulfment assay developed in the lab. Click the link to see the video and read the protocol! The Stevens Lab is excited to give a warm (and rather belated!) welcome to Matt Baum and Jenelle Wallace, two grad students in the lab! The Stevens Lab congrats our grad students Yuwen and Christina on their very successful Preliminary Qualifying Exams! Wouldn’t be a lab birthday without a celebration! Happy Birthday Emily!! Neuron has picked Dori Schafer and Beth Stevens’ Microglial pruning paper as their 2012 most influential paper for their 25th Anniversary issue and celebration! 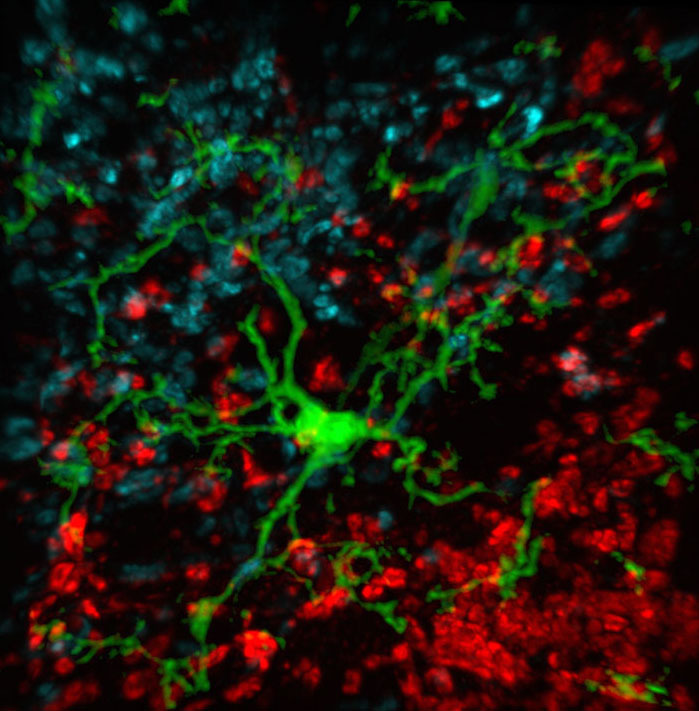 The Stevens Lab is thrilled to announce a publication by Allison Bialas and Beth Stevens, “TGF-β signaling regulates neuronal C1q expression and developmental synaptic refinement” has been published in Nature Neuroscience. Click the link to read!